Jean Sprackland is the winner of the Costa Poetry Award in 2008, and the Portico Prize for Non-Fiction in 2012. Her books have also been shortlisted for the Forward Prize, the TS Eliot Prize and the Whitbread Award. She is Reader in Poetry at Manchester Metropolitan University. 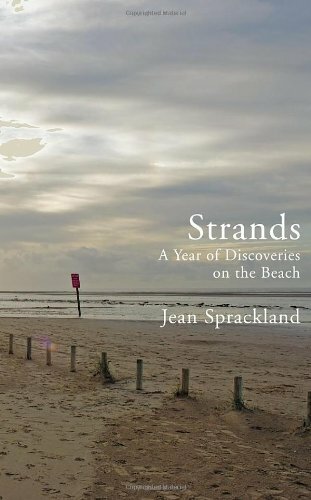 Winner of the Portico Prize for Non-Fiction 2012, Strands involves a series of meditations prompted by walking on the wild estuarial beaches of Ainsdale Sands between Blackpool and Liverpool. It is a book about what is lost and buried then discovered, about all the things you find on a beach, dead or alive, about flotsam and jetsam, about mutability and transformation — about sea-change. This is the ultimate beach-comber’s book: Sprackland constantly turns up revelations: mermaid’s purses, lug worms, sea potatoes, messages in bottles, buried cars, beached whales, a perfect cup from a Cunard liner.